The York Wheel closed for business in November 2008. It apparantly only had planning permission as a "temporary structure" and, as such, could only open for a maximum of three years. There is talk of opening a second York Wheel nearer the City centre. But, given the historic nature of the city, they are having difficulty finding a site that nobody objects to. When York Wheel 2 opens, you will hear about it on here. 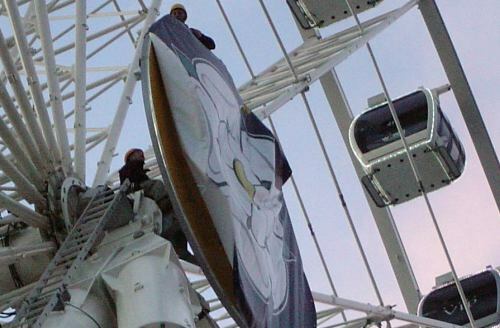 WORKERS place a "Yorkshire Rose" decoration at the centre of the wheel to commemorate "Yorkshire Week." 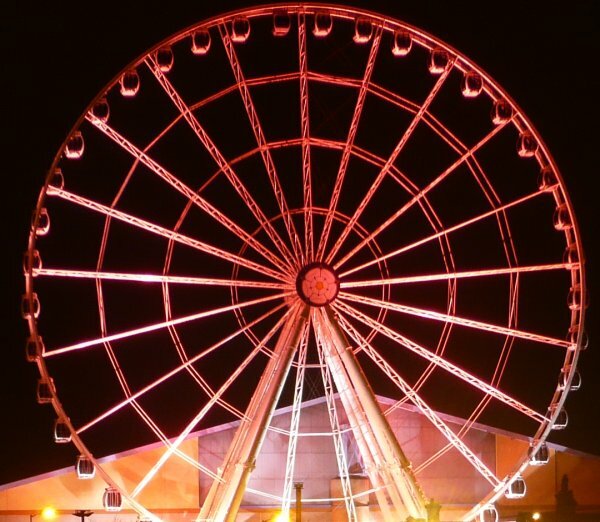 THE wheel is bathed in pink light for Valentine's Day.